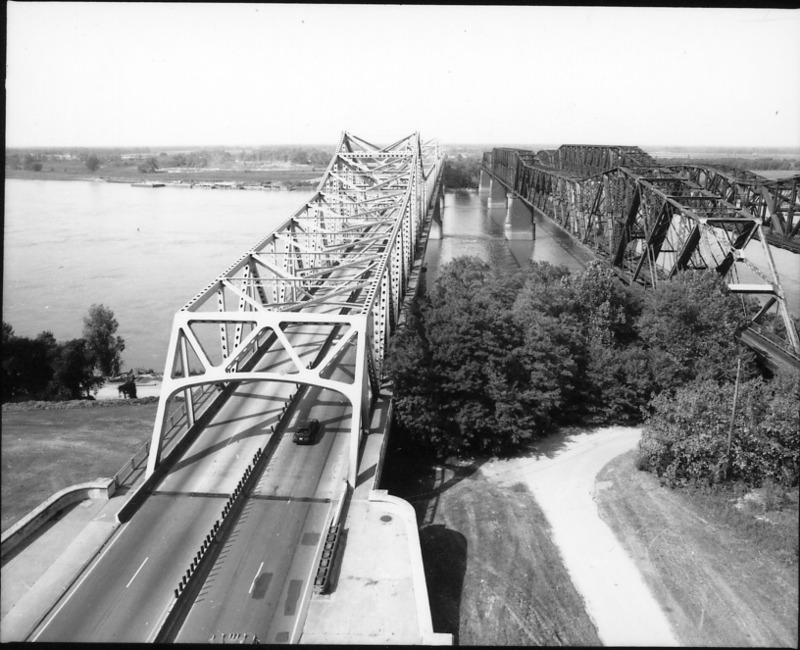 The Memphis & Arkansas Bridge (per its nameplates), also known as the Memphis-Arkansas Bridge or Memphis-Arkansas Memorial Bridge, is a cantilevered through truss bridge carrying Interstate 55 across the Mississippi River between West Memphis, Arkansas and Memphis, Tennessee. Memphians refer to this bridge as the "Old Bridge" to distinguish it from the "New Bridge", or Hernando de Soto Bridge, upstream. The Memphis & Arkansas Bridge also carries U.S. Highways 61, 64, 70 and 79 from Memphis to West Memphis; it also carried U.S. Highway 63 prior to its truncation (and later rerouting) in Arkansas. 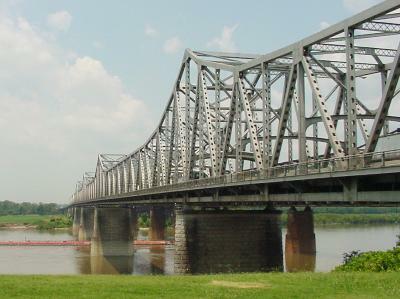 The western terminus of Tennessee State Route 1 sits on the Tennessee-Arkansas boundary halfway across the bridge. The span is unusual among interstate bridges for the fact that it has a carriageway alongside the vehicular traffic lane that is capable of carrying both pedestrian and bicycle traffic. This area is positioned just outside the main steel support girders on the south side of the bridge and is accessible from the interstate right-of-way on the Arkansas side and a sidewalk access on the Memphis side. This path is an official part of the Mississippi River Trail , although it is marked as dangerous and a potential routing problem. This is due to the Arkansas side having no easy access for bicyclists except "a primitive, unpaved pathway to (the) bridge".